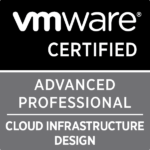 I booked my VCAP-CID and VCAP-DTD exam for Partnerday at VMworld EMEA. 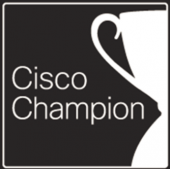 It was the first time I scheduled two VCAP exams at the same day. 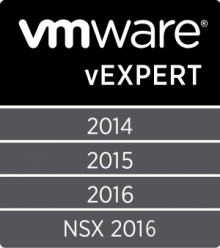 As a certification junkie I used the 75% off during VMworld which reduced the price per VCAP exam from 372€ to under 100€. Like VMworld 2012 I didn’t find the exam center immediately so I was 5 minutes late but it was no problem. The check in process was more restrictive than in Austria because two IDs with signature were required. Thanks god I had my visa card with me. I was also not allowed to bring something to drink to the exam room. For a 4 hour exam this was quite hard. It was my second attempt for the CID so I felt a little bit nervous because I had the plan to pass it this time. 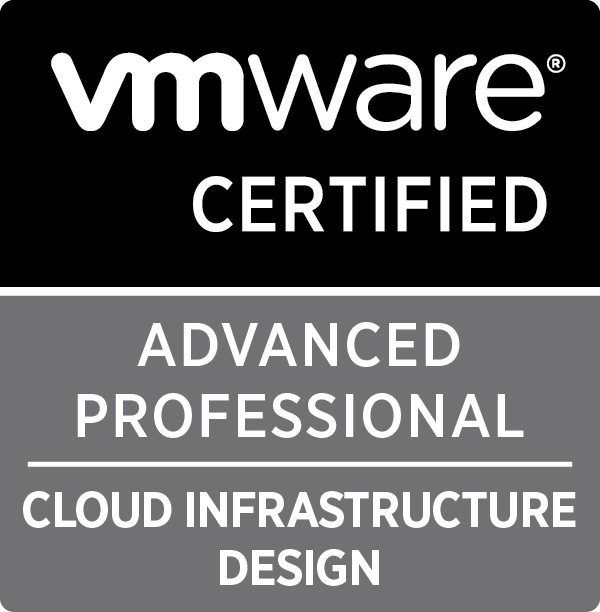 The exam consists of 115 questions including multiple choice, drag & drop and 6 design items and it’s based on vCloud director 5.1. If you have never done a VCAP design exam before use the VCAP-CID Interactive Exam Simulation to get familiar with the drawing tool and type of drawing tasks to expect on the exam. Like all VCAP design exams you can’t go back after clicking next. 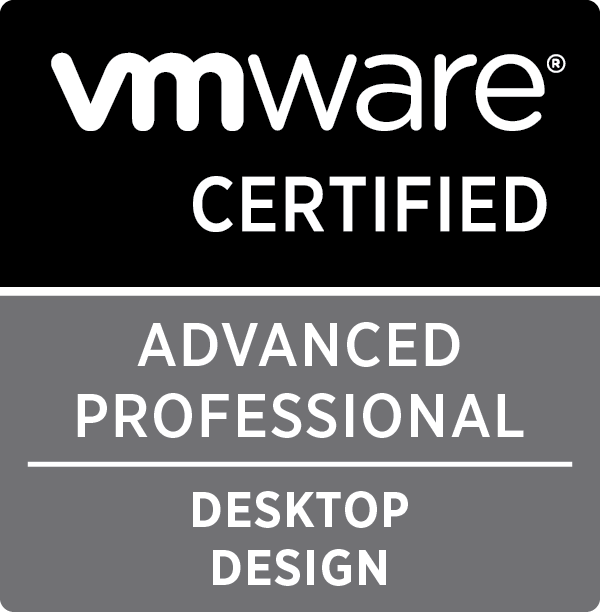 This is because of some major problems VMware had with the first VCAP-DCD5 exams where you answer a drag & drop or design question and after going back all the answers were placed differently. 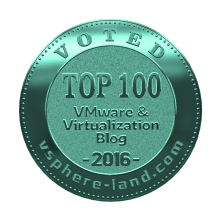 Some of the questions were very easy to answer and for others you didn’t even have a clue what VMware wanted from you. After exhausting 235 minutes (195min exam plus 30min for non-native speaker) I ended my exam. At that moment I couldn’t have say if I have passed it or not. Seconds later a releasing Congratulations screen appeared and with 302 it was a barely pass but a pass. I was really happy about it and the fact that I don’t have to do it a third time. After passing the CID exam I took a short bathroom and refreshment break with a big smile on my face. The check-in process for the DTD exam was almost the same as for the CID but this time I also had to remove my watch. Maybe they forgot it to check the first time. The DTD exam consist also of 115 questions including drag & drop, multiple choice and 6 design items. VCAP-DTD is based on View 5.x (5.0 and 5.1). As with VCAP-CID there is also a VCAP-DTD Interactive Exam Simulation. I was feeling more comfortable with this exam because I’m doing more desktop designs than cloud designs and I have more experience with View than with vCloud Director. In the Beta phase of this exam a lot of VCAP-DTD experience blog posts stated that there was no calculator available. VMware obviously has included a calculator in the GA version, so the questions where you have to calculate something are a little bit easier to answer. VCAP-DTD is the only design exam with a review option and I was very surprised when I saw this. In the other design exams you can’t go back after answering the question. To be honest, I used this option only with multiple choice questions, because of the problems with earlier DCD exams. After another 235 minutes, 60 of that were really cold thanks to the air condition in the exam room, I passed the VCAP-DTD with a score of 337. Overall the exam is very good but there are also some things which can be improved. One of the things is for example when you move items in a design question and these items are linked to other items through connections, than in some cases all connected items were moved out of the visible range. When this happens I didn’t know how to react, because I didn’t know if this items will count for the exam score calculation or not, so I have to start over the complete design item. Finally it was a great experience to do 2 VCAPs on one day but I do not recommend it to others, because study for 2 exams is very time-consuming and sitting in the exam room for 8 hours is really exhausting. Hope this helps other preparing for the exams. All the best and good luck for any one who is taking the exams. If you have further question don’t hesitate to write a comment or get in touch by e-Mail. I am also planning to give my VCAP DTD Exam. When planning for Total CPU requirement do i have to take Peak CPU or Average CPU of existing desktops. Will this be told in the exam. Secondly for memory do i have to take Peak memory or Average memory of existing desktops. Also do i have to take 30% memory benefit when virtualizing the desktops because of TPS and compression. The page file should be taken as Ram size or 1.5 times of ram size for the virtual desktops. Thanks you. Do not have any doubts. Just do it!! 😉 I didn’t prepare a lot for the DTD exam because I’m working on View designs all the time. It don’t have to be big environments. When preparing for the exam look at all of the whitepapers mentioned in the blueprint and use the recommendations from there. When I’m designing a View environment I take the average values into account, because peaks happens every now and then. A TPS value of 30% is a conservative one, which will fit into 90% of the designs. Thanks very much for the sharing your experience and other valuable info. This seems very helpful, I have exam scheduled this coming Sat. will let you know how it goes. Good that my posts are valuable! Good luck!